Below, we’ll define some of the terms that will be crucial to the hiring process. To simplify the hiring process, an awareness of these terms and their implications in Chinese law would be useful. Individual income tax, also known as China’s personal income tax rate, is calculated based on an employee’s monthly taxable income. The rate that is calculated can range from 3 to 45 percent, depending on the bracket in which the employee’s income falls. The total income an employee receives will be considered in the calculation, including any bonuses, stock options, or allowances. The employer will submit the contribution to the tax bureau assigned to the work location. There is a fixed deduction (in RMB) and a variable deduction (a percentage) in China’s personal income tax rate. Chinese employees have a fixed deduction of 3,500 RMB. The variable tax deduction for employees is calculated by considering the gross salary. The table above shows an example on how the new Individual Income (IIT) tax reform 2018 law affects to Chinese employees; however, such reform will come in force in 2019 including many areas of changes. China’s social security system is decided upon on a provincial level. Each province decides the amount of social security an employer and employee will pay. The employee’s social security contribution is to be deducted from their gross salary. The employer’s deduction is calculated separately and added to the employee’s gross salary, thereby estimating the total employment cost. As opposed to the individual income tax, the contribution for social security is regarded as being an indirect benefit to the employee. The social security contributions will be divided into two separate accounts when an organization pays its taxes to the tax bureau. While the contribution by the employer will be added to a public social security account, the employee contribution is added to the employee’s personal account. Both of these accounts will be managed by the social security bureau. Employees will first use the funds available in their own personal account to pay for any expenses. Then, when these funds have been exhausted, the employee can use the public social security fund. China’s social security system is composed of one mandatory housing fund and five types of social insurances. The updates for these rates occur at different times, with the housing funds being updated in July of each year while the social insurance rates are looked over and revised in April. Employees must take these insurances and mandatory fund into account when deciding to hire a local employee in China. Here the different types of social insurances: Unemployment insurance, Medical insurance, Maternity insurance, Old-age insurance, Work-injury insurance, housing fund. Employees who are terminated from their job can receive aid from the unemployment insurance, as it is meant to aid employees in the time when they are without a job. Employees who decide to resign from their job from their own free will cannot receive benefits from this fund. The unemployment fund has a specific fixed amount that will be given to the unemployed individual. These individuals can receive the aid for a maximum period of two years. As opposed to the social security system, the amount given to individuals does not depend on previous contributions to the fund. Chinese employees are entitled to medical insurance provided by the government. Chinese workers receive a medical insurance card with a small amount of money that can be used for any medical needs, including treatments or buying products from pharmacies. Governmental authorities are in charge of deciding what the insurance can be used for. Employers are expected to contribute to the medical fund. The contributions are typically between 5 to 12 percent of the employee’s monthly salary. Employees also contribute up to 2 percent to the medical fund. The rates may differ from city to city. Maternity insurance is one of the benefits that may be a new concept to many employers. Generally, the timeline of when the employee has to begin paying the maternity insurance depends on when the pregnant employee is first registered with the social security bureau. Typically, the average salary of all the company’s employees will first be calculated. Then, the amount to be paid during this period will be established and disbursed on a monthly basis. The calculation for maternity insurance is not the same in every city. In Shanghai, for example, the company will pay the difference between the pregnant employee’s salary and the company’s average salary as the maternity fund. The pension insurance assists senior citizens who have contributed to the fund for more than 15 consecutive years. The pension insurance is meant to assist senior citizens after they have retired from their job. The employer is expected to pay the majority of the contribution to this fund, ranging between 10 to 22 percent, while employees pay around 8 percent. Retirement ages range depending on the occupation and the gender. For example, men are expected to retire at age 60, while white-collar female workers will retire at age 55, and blue-collar female workers will retire at age 50. If the funds in a pensioner’s personal account are exhausted, the pensioner is then entitled to receive the funds from the social insurance account. Employees should note that they must work 15 consecutive years to be able to enjoy the benefits provided by the pension fund. If a worker loses their job and does not find one soon thereafter, the years they have contributed to the 15-year period will be lost and the period will start over. China’s social insurance rules indicate that employers will pay the costs related to injury insurance for their employees. The rate is calculated based on the employee’s monthly salary and will vary between 0.5 to 3 percent. If an employee is injured on the job, the employer is responsible for providing a proof of accident to the relevant insurance company. After a quick verification of all the facts in the matter, he social insurance will cover the costs associated with the injury. Employer’s wishing to hire local employees in China will also be responsible for contributing to the housing fund. The housing fund was created to assist Chinese citizens in saving money to purchase a home or settle a mortgage. Local workers in certain cities are even allowed to use the money from this fund to rent a house or renew the mortgage for their home. Unlike the previously mentioned social insurances, the housing fund is managed by the Local Housing Fund Bureau. The funds of employees are not pooled together. The contributions for the housing fund are directly deposited into a worker’s individual account. Employees who are indirectly on-duty will receive a protection provided by the public liability insurance. Under this insurance, employees will not be liable in the event of property damage or personal injures if still indirectly working. For example, an employee on a business trip who causes a damage to a hotel room will not be personally liable. Instead, the public liability insurance will cover the costs associated with the damage. The employer liability insurance is created to pay an employee’s monthly salary when the employee is unable to work due to an injury. The employer will not be responsible for paying the employee the monthly salary. Instead, the insurance will cover the monthly amount. The employer is also entitled to find a suitable replacement for the employee while they are unable to work. Medical expenses that are not included in the social security fund will be covered by this additional medical program. For example, an employee who is diagnosed with a disease that is not covered by the original social insurance may be covered in part by the supplemental health coverage. This fund is meant to protect companies from liability when the client suffers damages or losses from inadequate advice, services, or designs. For instance, the professional liability insurance will cover the damages caused by a company not turning in a deliverable on time when the client loses money, time, or business directly because of it. Are you looking for a Professional Employment Organization (PEO) in China? Although there are many advantages when a company decides to hire a local employee, it is important to also consider payroll taxes required of the employer. Employers should primarily consider four major factors: the individual income tax, the net salary of the employee, and the contributions required to China’s several social insurance funds. 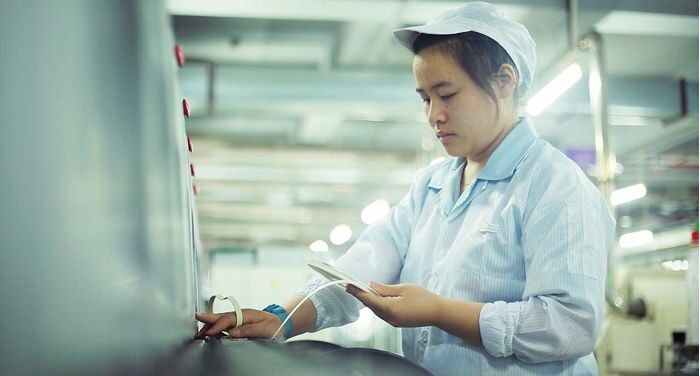 China’s social insurance fund ensures that local workers have their basic rights protected. The current social structure also ensures that companies do not have to devise an in-house benefits structure for employees in need. Employees are also less likely to negotiate their salary at the time of hiring since many of their needs are being met by this system. HROne is a non-state-owned agency based in Shanghai that helps foreign companies enter and develop their operations in Mainland China, Hong Kong, Taiwan and Macau. Our goal is to be a one-stop HR service provider for foreign businesses at all stages of growth. HROne assists foreign firms from initial stages through Employment solutions, it is also known as Employer of record or PEO Services to more advanced stages with Payroll and Accounting support.